Morgan Lofting will be a guest at the 2015 Canadian Action Figure Expo this year. Best known for playing the Baroness across both the Sunbow- and DiC-produced seasons of G.I. Joe: A Real American Hero, Lofting has also played such characters as Firestar and Moonracer in Transformers Generation 1, Princess Invidia on Star Blazers, Black Cat in the 1981 Spider-Man series and Fistina on Ben 10: Omniverse. She will be available all day for autographs and photos. The 12th Annual Canadian Action Figure Expo is September 27th at the Hilton Mississauga/Meadowvale – 6750 Mississauga Road, Mississauga, Ontario. The » Continue Reading. The post Voice Actor Morgan Lofting to attend Action Figure Expo 2015 appeared first on Transformer World 2005 - TFW2005.COM. 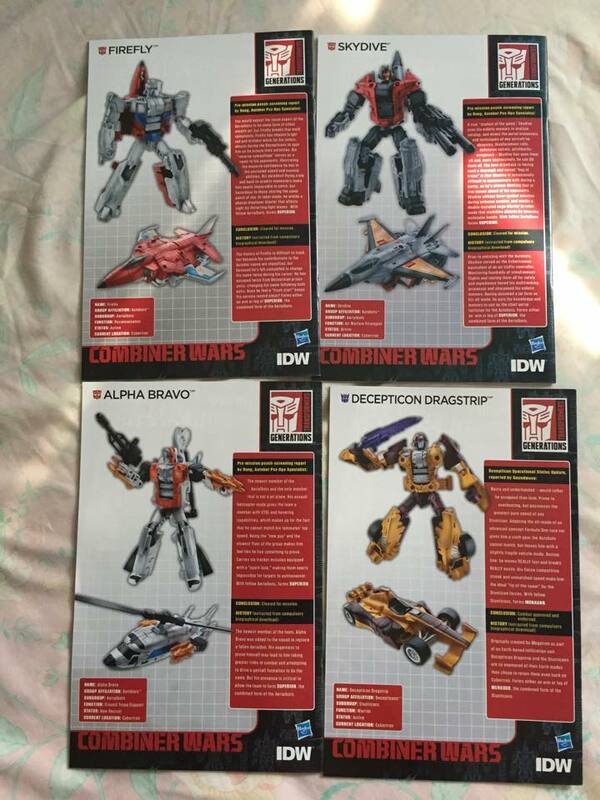 Unreleased Combiner Wars Deluxe Wave 1 Comic Images – Aerialbot Full Bios! We’ve got something cool to show you now. Via TFND, we have a look at the pack-in comics which were supposed to come with the repacks of the Combiner Wars Wave 1 Deluxes. Those following the site will know that this intended running change ultimately never materialised for the Aerialbots, though we did get Dragstrip with a comic in a revised Wave 2 case. These comics were being given away with a spend of approximately $60 or more at a Taiwanese comic convention. What is cool about this is we have a look at the backs of the comics – » Continue Reading. 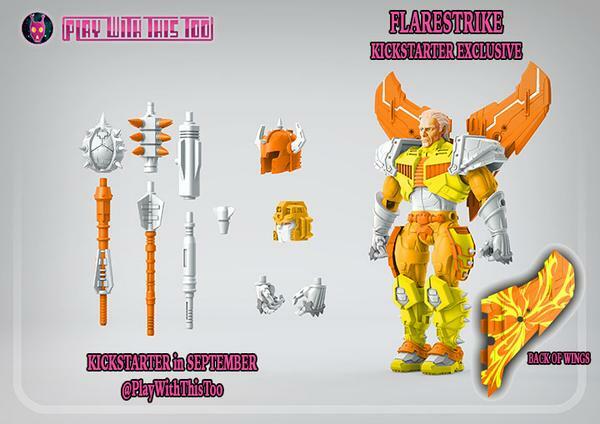 The post Unreleased Combiner Wars Deluxe Wave 1 Comic Images – Aerialbot Full Bios! appeared first on Transformer World 2005 - TFW2005.COM. 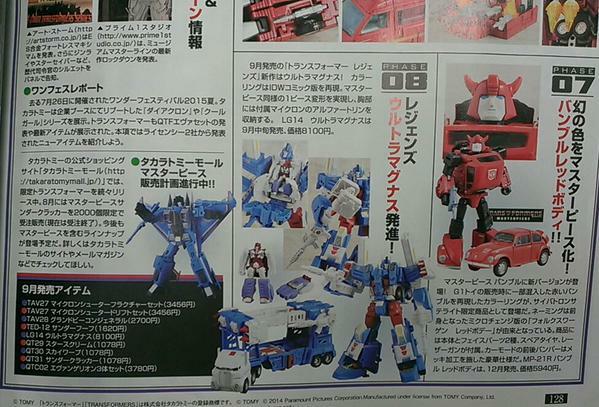 Some surprising Masterpiece news thanks to board member General Tekno who has found a scan of a Takara catalog on Twitter. The image shows off an upcoming Masterpiece Red Bumblebee! He looks to be a straight-up repaint of MP-21 Bumblebee in homage to the G1 toy (fan-named Bumblejumper). Of course he is not to be confused with the entirely separate character, Cliffjumper. Unfortunately this means we must continue to wait for a Masterpiece Cliffjumper, but this is excellent news for Mini-Bot collectors! We have no news so far on price, release date, or if he’ll have his own MP ID or simply » Continue Reading. The post Masterpiece Red Bumblebee appeared first on Transformer World 2005 - TFW2005.COM. 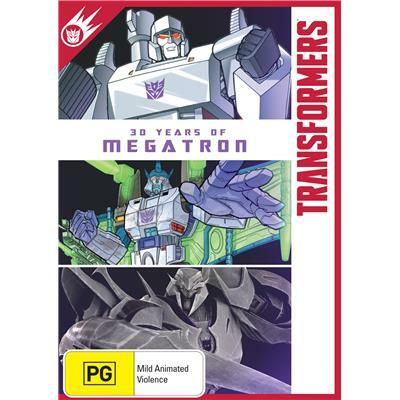 Local Australian electronics retailer, JB Hi-Fi continues to provide our Australian fans with DVD after DVD as they now have in-stock the 30 Years of Megatron DVD. Like the DVDs released back in March for Optimus and Bumblebee, this one features a look back at all the incarnations of the sinister Decepticon leader we’ve come to know and love over the last 30 years. For some fans, this may be a nice trip down memory lane; for newer fans this may be an important history lesson for you. As far as we know this DVD isn’t available at US retailers, but JB <a href="http://news.tfw2005.com/2015/08/21/30-years-of-megatron-dvd-300064">» Continue Reading. The post 30 Years of Megatron DVD appeared first on Transformer World 2005 - TFW2005.COM. More images from the Twitter of Takara Designer Hisashi Yuki, this time of Takara’s Unite Warriors Groove and LG-16 Slipstream. Groove however is still in the prototype phase in these images while we continue to get a look at the painted Slipstream. Normally they’d be at each other’s throats, but Yuki seems to be having fun with Groove’s alt mode as he lets Slipstream cruise in style. Slipstream is slated for an October release at $29.99 and Groove and the other Unite Warriors Protectobots are slated for a December release with the box set priced at $159.99. Check out the images » Continue Reading. The post New In-hand Images – Unite Warriors Deluxe Groove And LG-16 Slipstream appeared first on Transformer World 2005 - TFW2005.COM. 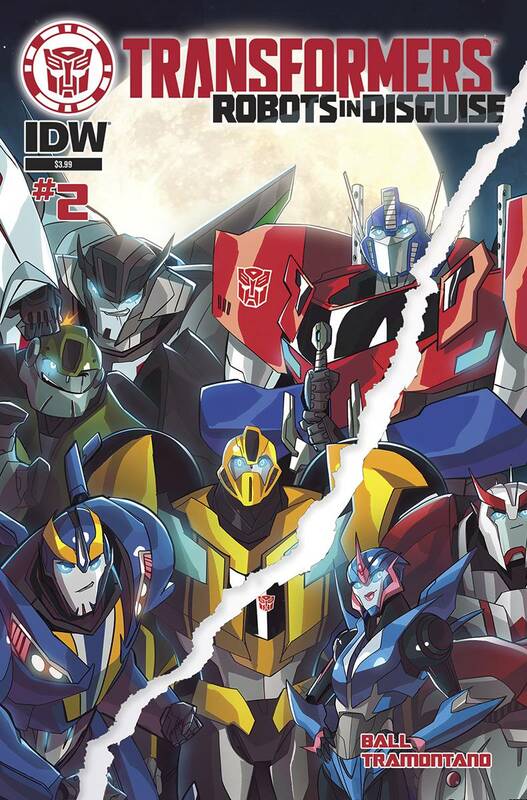 Over the last couple of days Nick Roche, the artist and writer of IDW publishing’s upcoming “Sins of The Wreckers” comic, has been tweeting out some teasers for a print he will be offering at this years Auto Assembly. Thanks to the lovely and talented colorist on the book, (and 2005 Board member) Josh Burcham has Tweeted out the final image of the print as it will be available. The print itself showcases a who’s-who of Wreckers from the entire run of IDW comics. Nick has offered similar prints over the last few years – More than » Continue Reading. 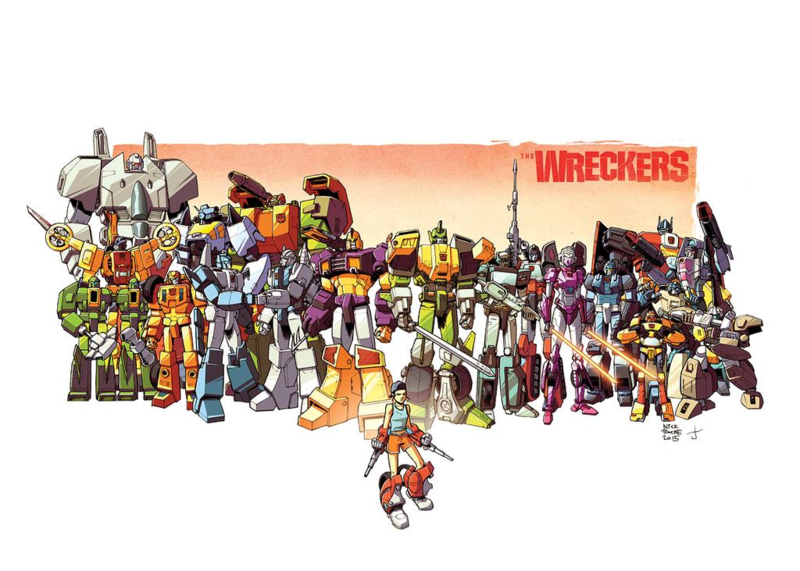 The post IDW Wreckers Auto Assembly 2015 Print appeared first on Transformer World 2005 - TFW2005.COM. Via the official Hasbro Transformers website, we have a look at the all-new versions of Rescue Bots Blades and Chase, coming to stores near you very soon! 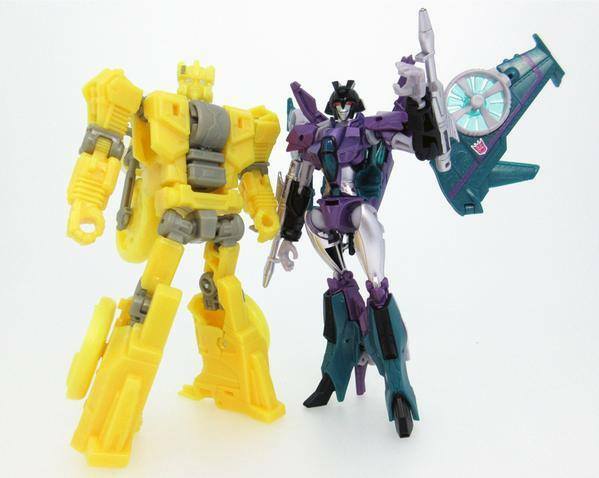 This pair was first mentioned in a Toy Fair 2015 press release – and the trend of Hasbro going back and doing new versions of the core cast meant we had a decent idea of what to expect from this pair. Now at last, we get to see what Hasbro has in store for Rescue Bots fans. Both Chase and Blades look sharp, with their new show-accurate looks really coming through » Continue Reading. 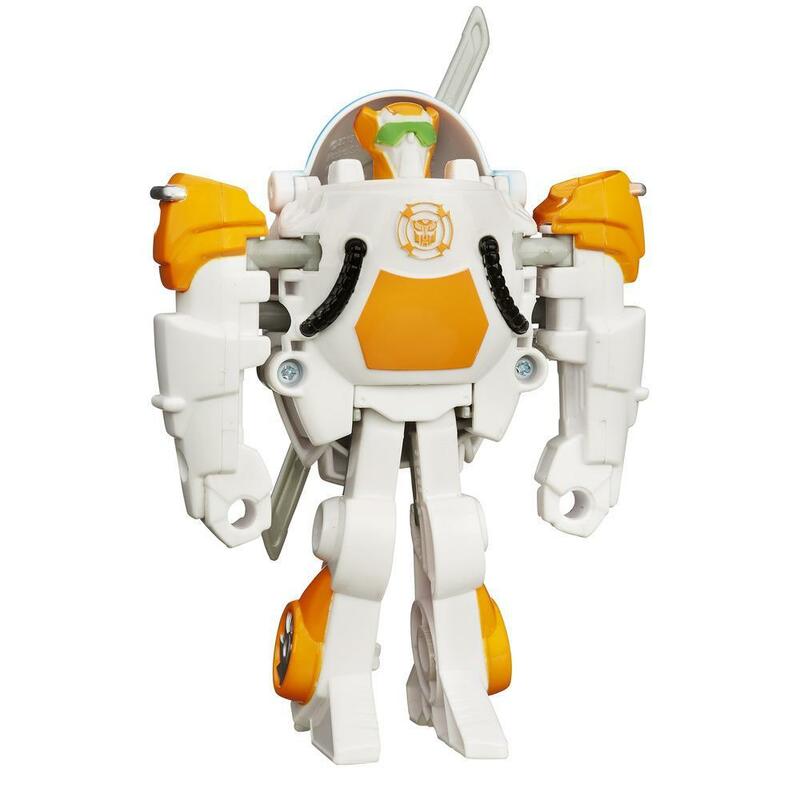 The post Rescue Bots new Blades and Chase toys first images appeared first on Transformer World 2005 - TFW2005.COM. 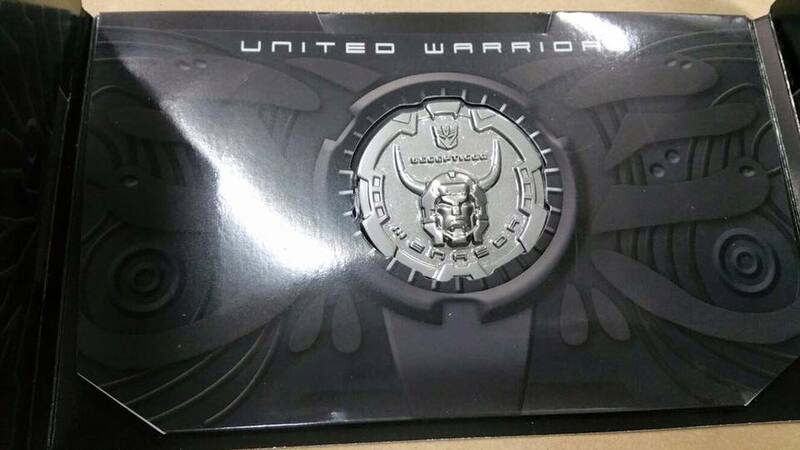 The time is almost upon for the second release of the Unite Warriors line! 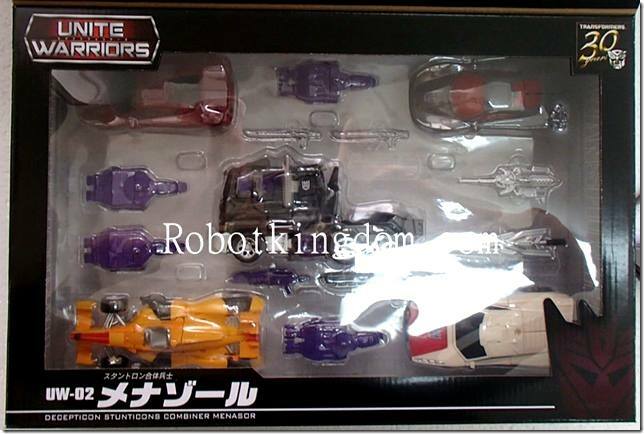 Thanks to site sponsor Robot Kingdom, we get an in package look at the Stunticons. Robot Kingdom will start shipping the set out on the 22nd of this moth and expect our other sponsors to be shipping the set out soon after that. The post In Box Images of Unite Warriors 03 Menasor appeared first on Transformer World 2005 - TFW2005.COM. 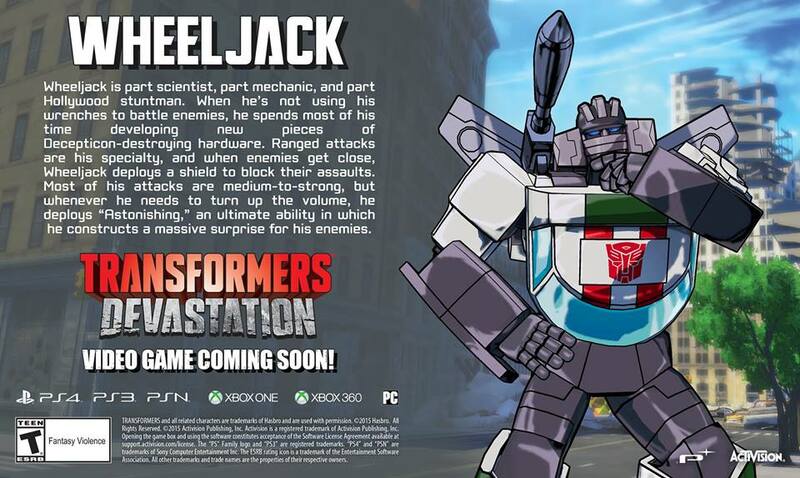 The official Transformers Video Game Facebook Page has posted the character profile for Wheeljack, as featured in Activisions’ upcoming Transformers Devastation game. The bio gives a list of moves available for Wheeljack during gameplay. If prior updates hold true we should be seeing a gameplay trailer shortly showcasing all of Wheeljacks moves in action! Continue on after the break to read more! The post Transformers: Devastation Video Game Wheeljack Character Profile appeared first on Transformer World 2005 - TFW2005.COM. The Reprolabels Facebook page has been updated to show off their new sticker sets for the month of August. Here’s what’s new this month: Reprolables will adding plenty of detail to your Hasbro Combiner Wars with these sets for Titan Class Devastator, the rest of the Protectobots including Hot Spot, Blades, and Rook, as well as a set for Leader Class Ultra Magnus. For Third Party Figures, an entire set for Warbotron WB01 is now available, two sticker sets for latest FansToys Dibots Tesla and Sever, and finally » Continue Reading. The post Reprolabels August Update appeared first on Transformer World 2005 - TFW2005.COM. Hasbro Rolls Out Autobot August Promotions! Hasbro sent out a press release hyping up their Autobot August set of initiatives. 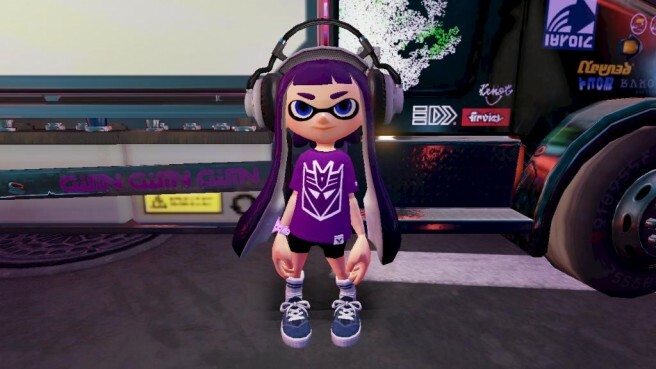 Included are events from Amazon, Target, Toys R Us, Cartoon Network and various mobile apps revolving around Transformers Robots in Disguise (201x). Check out a quick list below, and read the full descriptions for much more after the break! 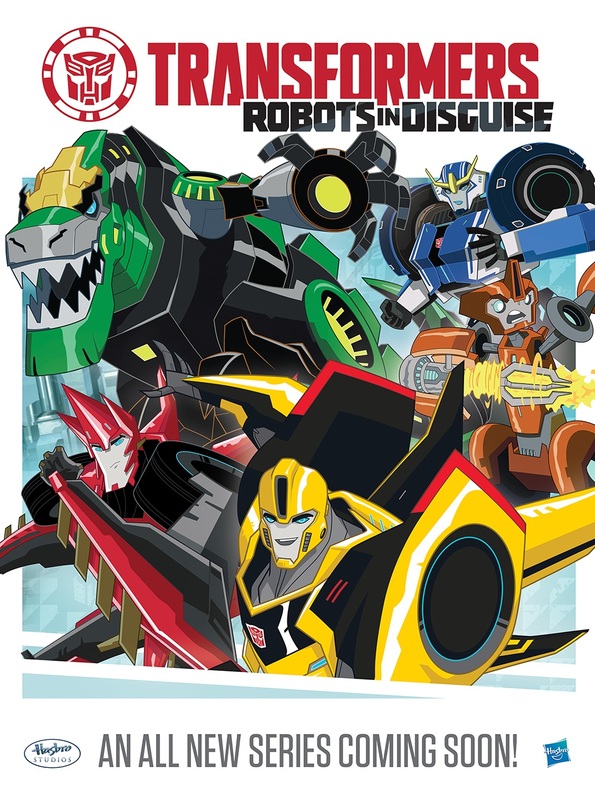 August 22 – Season one of TRANSFORMERS: ROBOTS IN DISGUISE returns for its epic conclusion. August – New for 2015, Toys “R” Us launches CLASH OF THE TRANSFORMERS, The official Toys “R” Us Facebook page will also debut two exclusive digital shorts. August – MINI-CONS are here! » Continue Reading. The post Hasbro Rolls Out Autobot August Promotions! appeared first on Transformer World 2005 - TFW2005.COM. We’re continuing the galleries today for some not super fresh but still recent releases with a look at Takara Tomy‘s MP-10 Masterpiece Convoy (Optimus Prime) Reissue. MP-10 originally came out in 2011 and has been used multiple times already: Masterpiece Optimus Prime 2.0, Masterpiece Black Convoy 2.0, Masterpiece Convoy Mode “Eva”, Year of the Horse Optimus Prime, Masterpiece Convoy BAPE Version. He set the bar for the current Masterpiece line with most figures coming after his release attempting to be in scale with him. Due to popular demand, he’s been re-issued in Japan and Asia. » Continue Reading. The post MP-10 Convoy (Optimus Prime) Reissue Gallery appeared first on Transformer World 2005 - TFW2005.COM. Behold the Acme Comics exclusive variant edition for IDW’s Transformers #45! 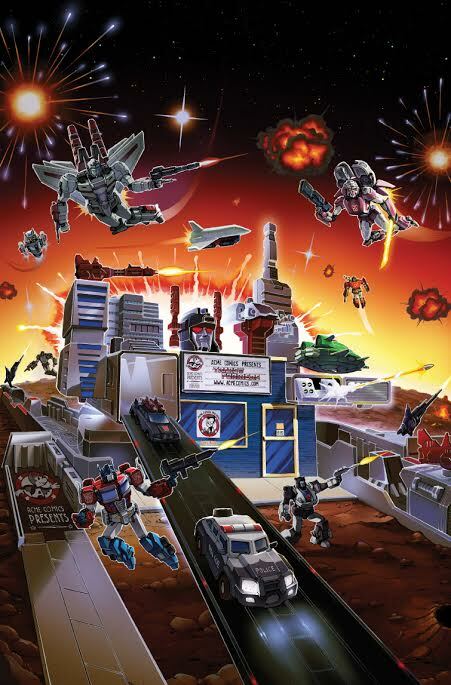 Fans of Generation 1 will recognize this homage to the original 1986 Transformers back of box art featuring Metroplex, reimagined by Casey Coller. 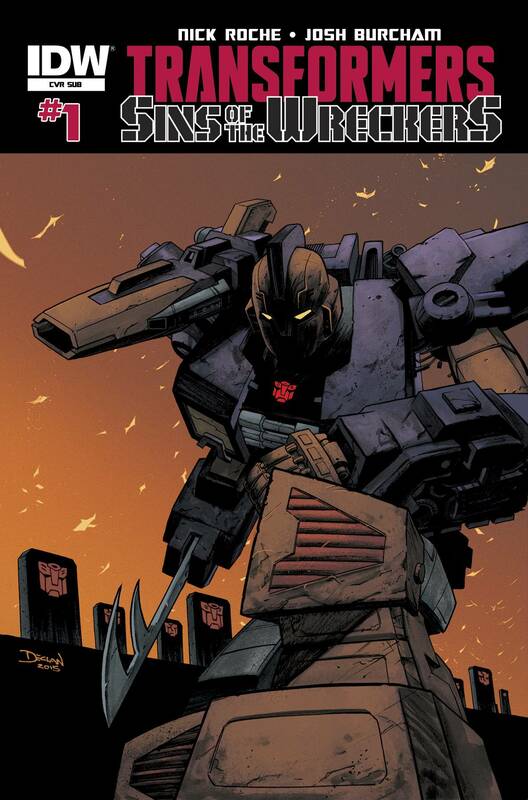 This very special cover to Transformers #45 makes its debut at TFcon Charlotte 2015 the weekend of October 16th – 18th. TFcon Charlotte – America’s largest fan-run Transformers convention will be the weekend of October 16th to 18th, 2015. 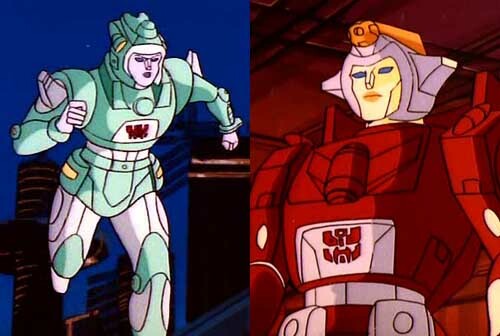 TFcon Charlotte will take place at the Embassy Suites Charlotte Concord with special guests GREGG BERGER the voices of G1 Grimlock and Jetfire as well » Continue Reading. The post Transformers #45 TFcon Charlotte/Acme Comics Exclusive Cover Variant appeared first on Transformer World 2005 - TFW2005.COM. Diamond Comics Shipping List for August 26th. D-Drive has once again been kind enough to send over the Diamond Comics Shipping list for next Wednesday, August 26th. On tap for our beloved Transformers is the following: TRANSFORMERS ROBOTS IN DISGUISE ANIMATED #2 (also shipping subscription variant) (W) Georgia Ball (A/CA) Priscilla Tramontano ROAD RAGE! While a DECEPTICON called TRANSIT wreaks havoc on afternoon commutes, Team Bee gets an unexpected visit… but will these new rivals combine forces without trusting each other? TRANSFORMERS GEN TITAN DEVASTATOR AF SET From Hasbro Toy Group. Transformers Generations Combiner Wars figures form some of the largest Transformers robots ever seen, and this » Continue Reading. The post Diamond Comics Shipping List for August 26th. appeared first on Transformer World 2005 - TFW2005.COM.